Since we've implemented JobDiva, our company has grown by approximately 200 percent, in terms of top-line revenue. Deep Deshpande, Co-Founder & CFO, TalentBurst Inc.
A JobDiva client since 2009, TalentBurst provides professional staffing services for clients worldwide, in Life Sciences, Health Care, Utilities, Oil & Gas, Engineering and Information Technology. TalentBurst counts Fortune 1000 corporations among their clients; they partner with the leading ATS, JobDiva, along with leading MSP's and VMS's to furnish the finest talent. Founded by three ex-Monster.com executives, TalentBurst delivers premium talent at remarkable speed. Recruiting systems misaligned with TalentBurst's goals. Recruiting platforms misaligned with organization's goals and resources, thereby restraining growth. Streamlined systems via JobDiva's all-in-one solution. JobDiva's solutions are fully configurable but also are rolled out in days. Thus, TalentBurst could tailor the system to fit their back- and front-office processes, from recruiting and sales to accounting, without having to wait for a development and installation period to conclude. Software integrations poorly executed. Poorly integrated, hastily engineered systems could not manage to advance TalentBurst's operations-talent sourcing and matching, sales, and business development. Eliminated messy integrations with JobDiva's superior technology. JobDiva's solutions comprise a standalone system that does not miss a beat. Everything in a staffing professional's toolkit can be easily accessed from a simple interface. This stood in stark contrast to TalentBurst's previous solutions, amplifying the team's efficiency and effectiveness. Technology not upgraded often. At the same time, TalentBurst wanted their systems to feed into the larger opportunities offered by social recruiting, mobile technology, and data analytics. Their systems had limited offerings with regard to these market-defining capabilities. New features released for the JobDiva user community constantly. 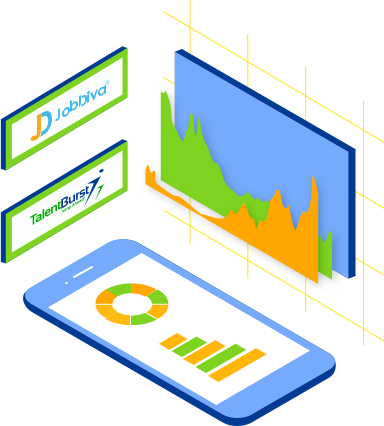 JobDiva's leading-edge technology brings Talentburst's resources to bear on the opportunities provided by the social web and big data, which play an expanding role in recruiting. 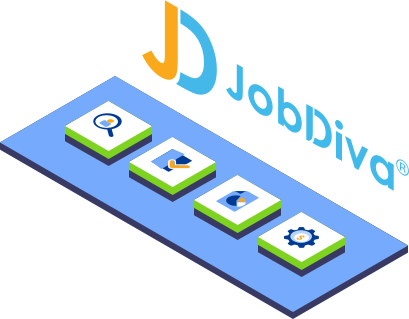 Because JobDiva's development is led and directed by staffing industry luminaries, this platform constantly predicts and adapts to market dynamics. TalentBurst gained agility from JobDiva's frequent updates, released to all subscribed users under their standard subscriptions. Systems not configured for global services delivery. TalentBurst have offices across the world. They wanted no gaps between these locations, yet their systems delivered separate solutions for each region. They wanted these global offices to be seamlessly connected, but they were also looking for a platform that could account for the distinctions between them. 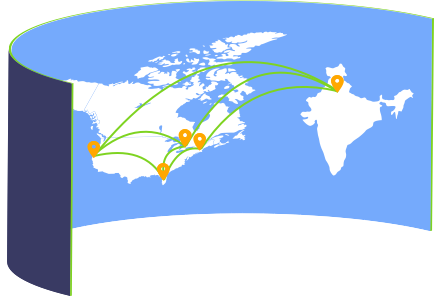 Accelerated global presence through JobDiva's seamless system architecture. JobDiva is designed for both the small business and today's multinational organization, marshaling smart tools to maximize flexibility for both the local office and the global powerhouse while scaling based on an organization's size. What challenge(s) did you face before adopting JobDiva? We implemented JobDiva in 2009 when the industry was going through a downturn. Over the downturn, we realized that our infrastructure was not as robust and scalable as it should be. We were meeting clients daily, and we knew it was a matter of time before the floodgates opened. And when they opened, we wanted to be ready for the new workload and not scramble to fill the incoming business. What have you found to be JobDiva's most useful features? The ability to see activity at either a 30,000-foot view or a one-foot view-a birds'-eye view or a closeup-with a single click! As a manager, you can be as engaged when needed or just look at the dashboards-you have the complete picture. 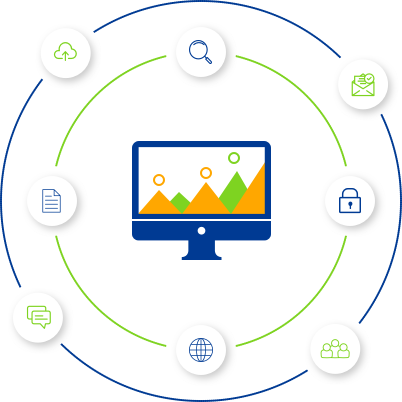 The BI functionality, VMS Sync and Harvesting are some of my favorites! What led you to choose JobDiva? We saw a lot of products, and even though JobDiva in 2009 didn't encompass what it is now, I saw the passion that JobDiva's leadership had. Their vision along, with their strong development team, made us feel that JobDiva can be a true partner and not just a vendor! What are your thoughts on JobDiva's overall user experience? Has it changed over your time using the system? Oh, yes! From the user interface in 2009, when we started using JobDiva, to what it is now-that is a day and night difference! The UI has become much more user-friendly and clean! Did JobDiva resolve any challenges you didn't expect it to? I guess the constant upgrades that the team releases on a regular basis take care of the newly arising challenges, and when there have been instances where we needed assistance, the support/development team delivered on it time and time again. How helpful for your business has JobDiva's Search by Years of Experience feature been? Why? For the senior positions, it helps the recruiters weed through the resumes and not have to look at the junior ones.. this feature alone removes the need of "sourcers" that many companies still use. How quickly did your users become accustomed to the software? The first couple months in 2009 was a challenge - because it was a change from what they were used too, but since then, it is a 2-day training and off they go to the races! Do you or your users leverage JobDiva's mobile apps? Yes, most of my team uses the app on a regular basis.